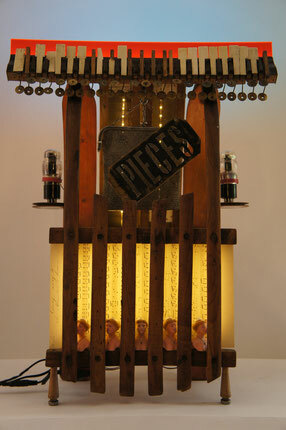 Accordion Keyboard, radio tubes, mesh purse, handwritten musical paper, porcelain busts. Many vertical motifs. The porcelain busts move almost as in a film. Backlit with colored LEDs.